An invaluable resource for anyone involved with - or simply interested in - the business of television. A practical handbook for programming directors, this guide focuses on achieving specific objectives in today's competitive environment. Strategy, Development & Evaluation. Get answers to programming questions in this comprehensive, in-depth look at the roles and responsibilities of the electronic media programmer! Receive one intellectually stimulating program on a different topic each week for a year. Hosted by philosophers extraordinaire, Ken Taylor and John Perry of Stanford University. Writing for Business and Educational Programming. Van Nostran forms a single worktext on writing for new media, including multimedia, interactive video, and education and corporate film and video. 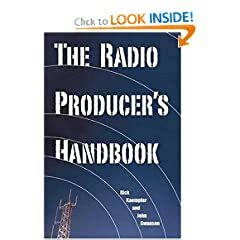 This book explains every duty a radio producer is expected to perform. 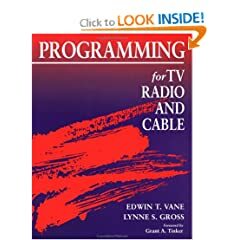 Provides an in-depth look at the roles and responsibilities of television, radio and cable programmers.